?Emeritus Professor of Computer Science, Computer Science Department, Faculty of Computer and Information Sciences Ain Shams University , Cairo, Egypt, since Sept. 12, 2007 till now. Prof. of Computer Science, Computer Science Dept., Faculty of Computer and Information Sciences, Ain Shams University, Cairo, Egypt Since 1996 till now)..
Head of Computer Science Department & Vice Dean, Faculty of Computer and Information Sciences, Ain Shams University (97- Feb 2003). Visiting Professor, Faculty of Administration and Economic, King Abdelaziz University, Kingdom of Saudi Arabia (1990-1995). Professor of Computer Science, Faculty of Science, Ain Shams Univesity, (1989-1996). Director of Scientific Computing Center, Ain Shams University. (1984-1990). Head of Artificial Intelligence and Knowledge Engineering Research Labs, Computer Science Departement , Faculty of Computer and Information Sciences, Ain Shams University (2013-till now). Secretary of the Egyptian Computer Society (1984-1990). Member of the National Committee of Informatics, Egyptian Academy of Scientific Research and Technology (1992-Present). Founder Member of the Annual International Conference of Artificial Interlligence Applications, Cairo, Egypt. (1992). Coordinator and Organizer of many national Workshops and Seminars in the field of informatics and artificial intelligence. Coordinator of the International Conference for Statistics, Scientific Computing, and Social and Demographic Research, Cairo, Egypt (1983-1990). The conference was held annually (since 1975 till now) under the auspice of the president of Egypt and is organized by about 20 Egyptian Universities, Institutions and Scientific Society. Founder of the “First International Conference on Intelligent Computing and Information Systems” ICICIS 2002, June 24-26, 2002, Organizer: Faculty of Computer & Information Sciences, Ain Shams University, Cairo, Egypt ( Honorary chair: Lotfi Zadeh, University of California). 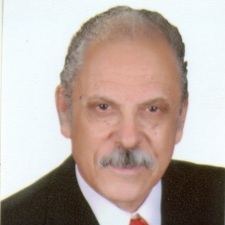 Chair of international Symposiums ,Workshops, and Tutorials of the 2015 IEEE Seventh International Conference on Intelligent Computing and Information Systems” ICICIS 2015,December 12-14, 2015, Cairo,Egypt( Honorary chair: Lotfi Zadeh, University of California). Member of World Academy of Biomedical Technologies, WABT, Paris, France, 2007. Member of International Society for Telemedicine and eHealth, ISfTeH, zuirch, Switzerland, 2007. Member of British Computer Society, Expert Systems Specialist Group (SGES). Member of International Neural Network Society (INNS), USA. Member of Association for the Advancement of Computing Education (AACE), USA. Member of ISfTeH WG,Coordinator of the Medical and Bio- Informatics Working Group, The ISfTeH ,International Medical- and Bio-Informatics Working Group ( IMBI-WG), Switzerland, since 2010. Member of the ITHEA International scientific society , Varna, Bulgaria,scine 2012.